Local Expertise. Local Talent. Local Clients. 40 Plus Recruitment has a new name and a new identity – Fortyplus People. 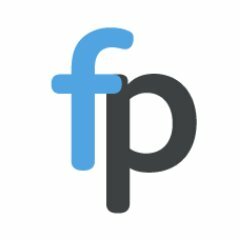 Serving Bicester and the wider Oxfordshire, Buckinghamshire, Northamptonshire and Warwickshire area, Fortyplus People is a leading recruitment agency which has been introducing high-calibre candidates to a wide range of businesses in the region since 1995. Fortyplus was originally established to support candidates over 40. Today, the need to champion the benefits of mature workers is even greater, as the UK’s population is ageing, older people are our future workforce and customers. The need to develop a long-term strategic approach to recruiting, retaining and retraining older workers is critical for businesses and we support the Government’s Business Champion for Older Workers strategy and target of 1 million more older workers by 2022. To achieve this, employers need to increase the number of people aged 50-69 in work by 12%. Historically, our recruitment business focused on providing the flexible, temporary workforce that local businesses had required. However, regional growth has been dramatic in recent years, seeing established businesses expand and new organisations, including innovative start-ups, across a wide range of sectors, shifting resourcing demands towards more permanent, highly-skilled people. These companies require an increasingly broad range of skills from their workforce, including accounting, digital, finance, IT, HR, marketing, operations and sales. They also require a more comprehensive range of resourcing solutions to meet the demands of their business. Bicester and the surrounding area is also undergoing a population explosion and with it, a rapidly expanding talent pool, as skilled, highly-qualified, experienced people move into the area seeking employment. We are uniquely placed to match this talent with businesses in the area. Under new owners Kelly and Stephen Dunn, the consultancy has rebranded as Fortyplus People. We reaffirm our commitment to providing the best people for our clients. People with sought-after-experience, skills and expertise, that matter in today’s fast-developing marketplace – irrespective of their age. We will continue to build on our heritage of “it’s your skills and experience that matter most” and matching the values and cultural fit of our candidates to those our client organisation. It is this alignment that creates successful and rewarding long-term partnerships for our customers. Fortyplus People. Champions of Experience. Kelly is decisive, energised by ideas and is focused on the big picture. Hayleigh is a skilled communicator with the ability to distil big ideas into action. Charlotte thrives in unstructured environments and exploring new ideas. Stephen is a decisive, creative influencer, forward thinking, ambitious. "I feel very fortunate that I found a recruitment agency that listened to me and gave me good advice and guidance from the moment I walked through the door to search for a position to the successful job interview. The day to day contact from the team in supporting me was fantastic and I would recommend them to everyone who is looking for a job, they have a great skill in matching the right people to the right job." "I have had the pleasure of working with Fortyplus when I was searching for my next role. They were super efficient, proactive and secured an interview and a job offer within a week. Haleigh made sure I was fully prepared for the interview and had all the information I needed to make it a success. I can’t thank her enough. I have dealt with a number of agencies in the past and I have to say, to date, Fortyplus people have been the best. I would not hesitate to recommend them to others seeking a new role or looking to employ new staff." "Being a more mature candidate looking for a new role I approached Fortyplus and found the team to be warm and friendly. I met with Hayleigh who is very intuitive and experienced. She was reassuring as I was pretty nervous and out of practice. Hayleigh was able to match me with a role and I was successful in the interview - first job, first interview; that's a pretty amazing result!" "The team at Fortyplus have been so helpful and have worked extremely hard at finding a career for me. I have worked with agency consultants in the past and my previous experience was not great. However, I must say the team at Fortyplus pulled out all stops to find my dream job. If you are looking for a new career, change in industry or just starting out, I would recommend Fortyplus to anyone!" "I was at a career crossroads and consulted Fortyplus about my options. Their consultant took time and trouble to explore my CV and suggest the right vacancies for me. The first introduction resulted in the perfect career move. Thank you Fortyplus." "The guys at Fortyplus took the time to really understand our business culture as well as the specific requirements for each job. As a result, we would happily take most of the candidates they introduce, knowing they will fit in with our team and business and have the skills we are looking for." "We have used Fortyplus for many years and have always found them to be proactive, helpful and competitive. They have saved us countless hours by screening potential candidates to ensure that only those meeting our requirements were put forward, and have become a valuable business partner." "We have used Forty Plus for our recruitment for several years and have always found them to be very professional, helpful and friendly. We are always confident that they can fill our vacancies as they listen to your requirements and only send candidates that are suitable for the positions available." DISC is a personality assessment tool created in 1920s by William Marston. It breaks personality down into 4 buckets, each with its own natural set of behaviours and is a well known, widely-accepted behavioural model that helps us understand and communicate with each other better. DISC has been used by millions of people to understand themselves and others better, and it is widely accepted as a standard for sales, management, and corporate communication training. Understand your natural strengths, weaknesses, sources of stress, and motivators. Quickly identify your friends’ and co-workers’ personality types and build stronger relationships. Communicate more persuasively with people you don’t know well. Build healthier, more productive teams by assembling a well-balanced group of personalities.